A list of reports, articles, or published letters about kaupapa Māori or publicly funded entities or organisations operating to benefit Māori. Central government: Results of the 2007/08 audits. Central government: Results of the 2006/07 audits. Part 3.2 of a report on the results of the 1999-2000 central government audits. 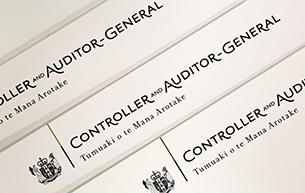 Part 6 of a report on the results of the 2001-02 central government audits.